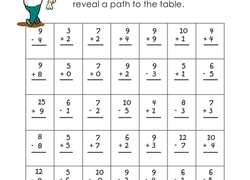 If your child is new to two digit subtraction, keep learning activities focused to subtraction under 20. 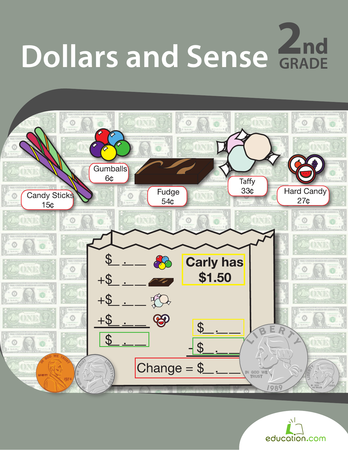 The following worksheets and activities are designed to bring diversity to your home study. You can set your child up to learn independently, or decide to play together using home objects like dried grains and candies, or go out for a learning adventure in the neighbourhood. Lend your first grader a hand with beginning maths. She'll practise both addition and subtraction with both vertical and horizontal equations. Give maths skills a workout with this race against the clock! This mad minute maths worksheet of subtraction problems should be worked on for just one minute. Mama mia! 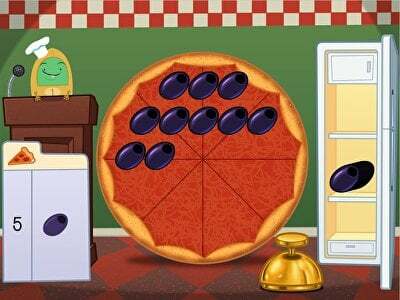 Kids must use subtraction skills to craft perfect pizzas in this game. 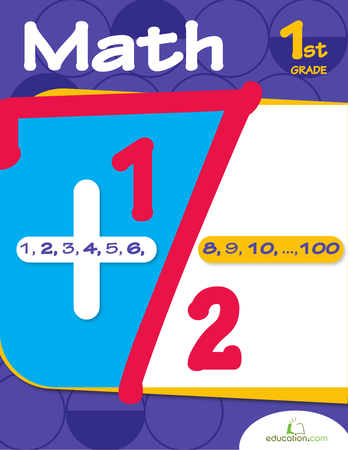 This workbook offers good practise for first graders learning the basics of mathematics. Practise makes perfect! Engage your first grader in some super, single-digit subtraction problems so she strengthens her maths skills. This quick practise test offers simple addition and subtraction word problems to help your first grader review. 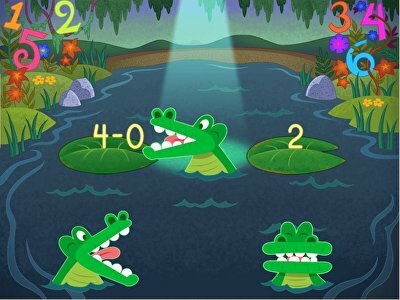 Kids compare subtraction equations and numbers to feed the gators in this game. It's subtraction in space! 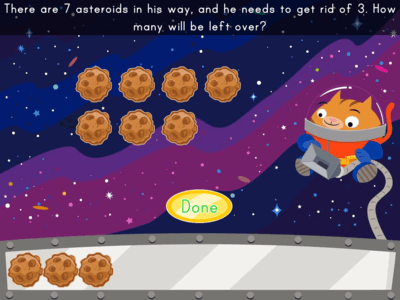 Help this astronaut cat clear asteroids and count how many are left in this short subtraction game. 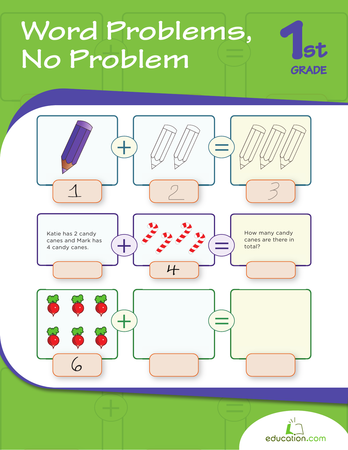 Give your child practise with his maths skills with this printable worksheet, which is all about subtraction and addition. Kids add, subtract, or use maths facts they have committed to memory to fill in the missing numbers in the fact families on this year four maths worksheet. Put your second grader's maths skills to the test with mathematical puzzle boxes. He'll practise doing addition facts in his head, and build logic skills. 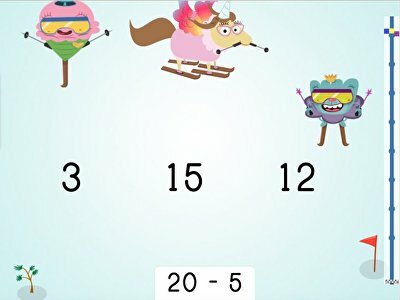 Kids tackle subtraction to 20 in this silly maths game. Who's hiding in the subtraction problems? Use your super subtraction skills to find out which colors to add to the drawing! 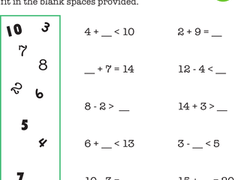 Help your second grader get a good review of adding and subtracting double-digits with this practise sheet. 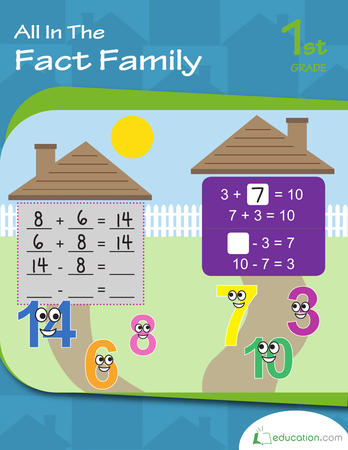 This fact family worksheet gets kids to add and subtract. In this fact family worksheet, third graders will fill in the missing numbers in fact family houses. Can your child use her addition and subtraction knowledge to put the numbers where they need to go? Word problems are a great way to apply maths knowledge to real-world situations. 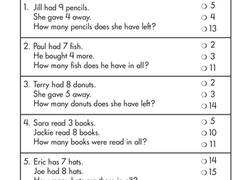 Check in on your first graders’ abilities to solve subtraction word problems with this handy assessment. Keep your year two maths whiz sharp with this ocean-themed worksheet practising single-digit subtraction. 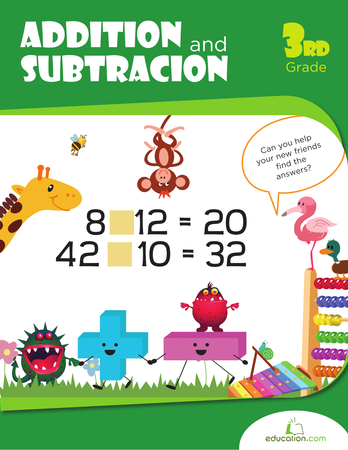 Covering addition and subtraction facts up to 18, this quick practise test offers a great review. Someone help this elephant! He's lost all his colour, and he doesn't know how to get it back. Use subtraction to come to the elephant's rescue! Get a great introduction to word problems with this round up of practise pages. Kids will review addition and subtraction from a different approach, and learn how maths can apply to the real world.